​One year ago today, we were winding our way back from Wales, over hill and dale, across the Irish Sea to stay overnight in Dublin, and then return to our home base and our cousins in Northern Ireland. When I first went on my solo adventure to Wales in 2009, upon returning I was asked if I wanted to bring my family to see what I saw. My immediate answer was no. I didn’t want to share it with anyone, but the reality was that I also didn’t want them to spoil it for me. Like when you set up a movie night for your best friend to watch your favorite movie, and while they’re watching the movie you’re watching them to see that they love it as much as you do…but…they don’t, and it kind of ruins the experience for you, and now every time you watch that movie again, you’ll think of your friend who didn’t like it, and wonder why they didn’t like it. Wales could not impress them as it did me, and I did not want to see the looks on their faces of huh, so this is it. 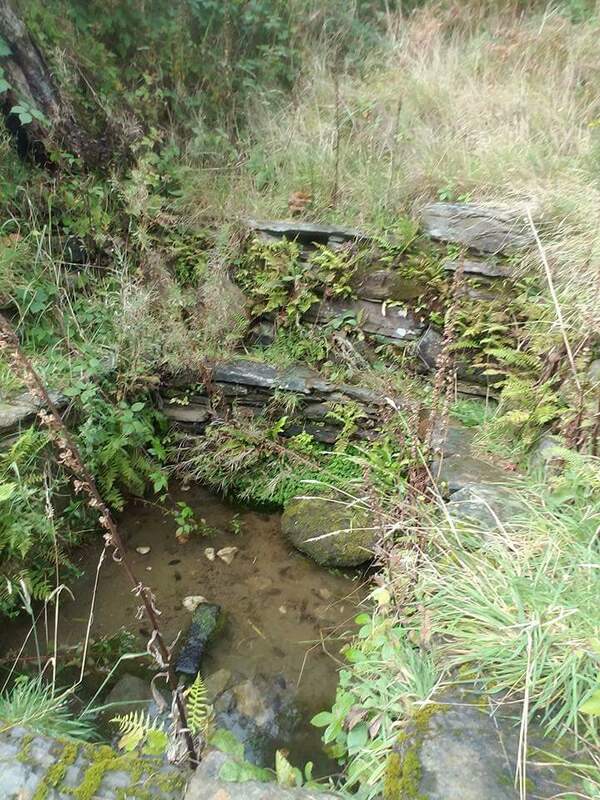 I knew that if I wanted to visit Wales on this trip, and I did, not only to pilgrimage to my saint’s holy well, but also just to feel the land under my feet, the rocks under my fingertips, then I would have to bring them along. This was a family adventure and I couldn’t leave them behind for three days. I resigned myself to whatever they would feel, and I made peace with it. From the ferry, we began the drive across Angelsey to cross the bridge into mainland Wales and the hour or so drive to our hotel, adjacent to St. Elen’s Well. Winding hilly roads bordered by stone walls, and there was finally a pull off to see the view, right before the bridge. Leaning on the cold stone wall, looking out across the field that met the dry bed that met the water, seeing the Menai Bridge across the way, the mountain ahead and to the left of us, I turned to see where my family was, and there I saw it. They may not have had the spiritual connection or the hiraeth of homecoming, but they had amazement. It was about to drizzle, and it was grey, but judging by their faces and their eyes sweeping across the landscape, it was the brightest, sunniest day they’d ever seen. 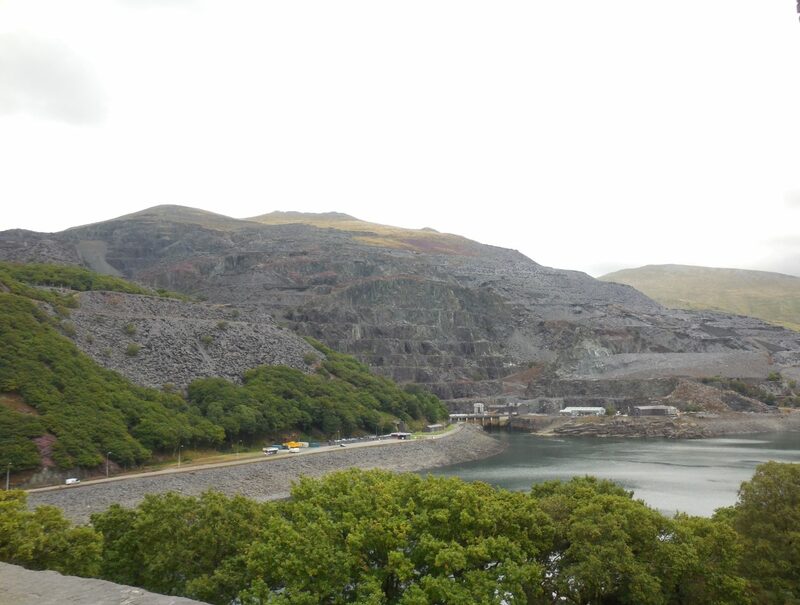 And as we drove deeper into the towns at the base of Snowdon, their eyes only got wider. We got out several times between that first time and reaching our hotel. There were rivers to see, stone buildings, mountain views, sheep and cows, but oh the amount of sheep defying gravity on the side of the mountain. I was glad I brought them. They could maybe kind of understand my obsession connection. I wasn’t even mad when they unintentionally one-upped me. 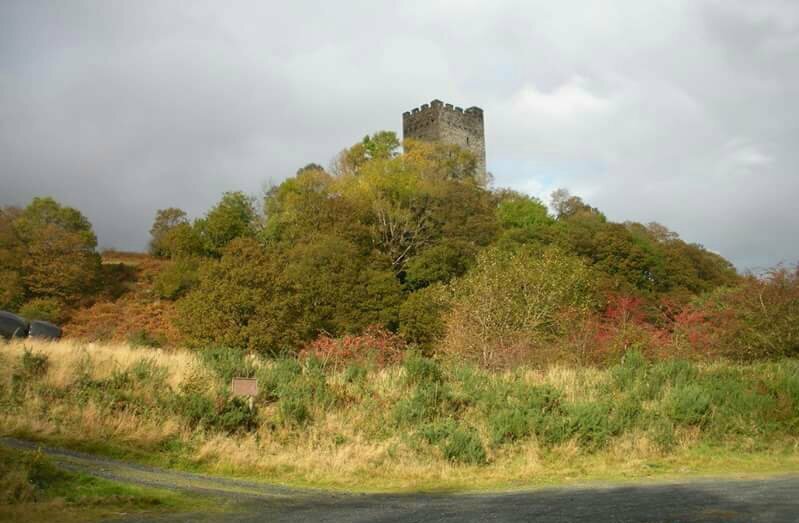 It was at the point when I couldn’t do anymore climbing, so when we passed through Llanberis on our way back to Holyhead, they went up to see and take pictures for me of Dolbadarn Castle, one of Llywelyn Fawr’s. Actually, I believe that his grandson, Owain Goch ap Gruffydd was kept confined there by his brother Llywelyn the Last. So I was a little jealous, but I was still okay with it. Mostly. Now, they’ve been to a part of Wales that I haven’t. Maybe one day I can rectify that. I’ve been fortunate to have visited North Wales three times. The first was randomness, the second fortune, and the third with determination. All three were spiritual and while the first began a decades old journey, all three began, and explored different aspects of that journey. All three had friends and family supporting and helping to make it happen. Read the brief captions about the three photos I’ve chosen to represent my three visits, all steeped in more meaning than can be written in such a brief blurb, but will be explored more fully, or if not fully, then thoroughly in future days. Something to contemplate before this weekend’s Palm Sunday Masses. Caernarfon was not a place I’d ever heard of before it was suggested that I visit the town. My friend lives near there, and offered it when I asked for recommendations for my 2009 trip. He mentioned the Castle and the Strait and the nearness to other Welsh attractions, and we could meet for lunch or dinner in nearby Bangor. I picked Caernarfon from his recommendation before even reading up on it. I’d be arriving on Monday morning and driving in. I’d stay at an international hostel. 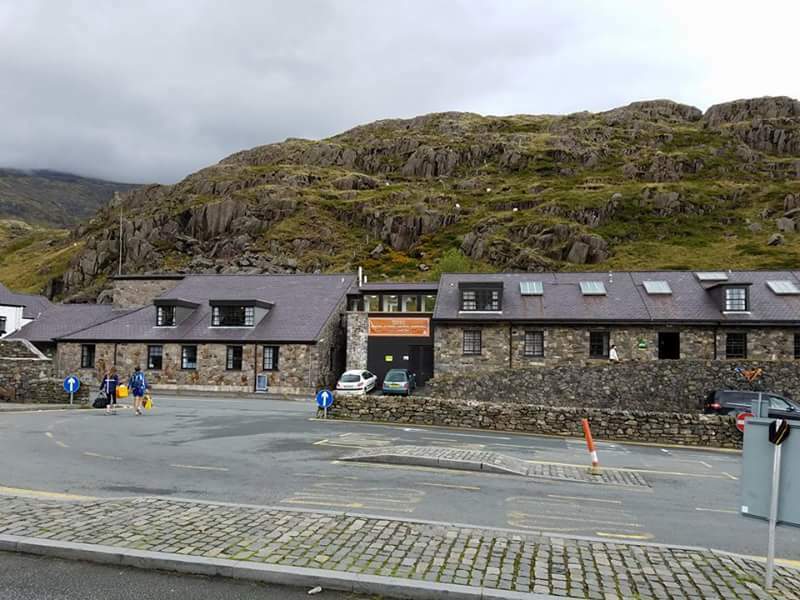 I had stayed at a youth hostel my first time in Wales (in 1987), but they had a maximum age of, I think it was 25. This hostel took all ages as well as families. I’d have to find my way around, but on Tuesday, I’d get to Bangor for our dinner. So far, those were the only plans that I made. I wasn’t exactly flying by the seat of my pants, and I would eventually have some sort of plan for the week, but it was nice to have a base for the first half of the week, and Caernarfon was perfect for that. Caernarfon was wonderful in so many ways. I hadn’t planned on returning in 2017, but we did manage to pop in. I was happy to be able to show my family a place that I could kind of get my way around, and share my experiences with them, not to mention creating new ones with them. Here are a few of my recommendations of places I visited in and around Caernarfon and a few on my list for next time. Please use the links to make your own travel plans. It is well worth the trip.